We are all a witness to the rise in voice search, think about it, at home you are already using Amazon Alexa, Google Home or another device for voice commands. It’s made our lives easier and more efficient. We are also using Siri on the iPhone or saying OK Google to ask a question. We were intrigued by a article written recently by Lloyd Dean. Lloyd is the host of The Future of Learning podcast, which we recommend listening to, and also Head of Learning and Innovation at EDF Energy. In his article, he talks about the VoiceFirst approach and how this is coming to corporate learning and development. We have recognised this, not only does the research say it – for example, a study by Kalyuga, Chandler and Sweller 1999 found that a group studying through audio alone performed 64% better than a group learning through text and audio. On top of this, according to Lloyd’s post, Gartner have predicted 30% of all web browsing will be done without a screen in 2020. These are astounding statistics and food for thought in the learning and development community. What would be a typical use case? If you take a traditional approach of a blended learning programme. Step 1 – You are invited to a training programme for leaders. Step 2 – You maybe access learning material, perhaps via your LMS or intranet prior to the event. A flipped classroom approach. Step 3 – You attend the training workshop, you collaborate in session with your peers. Step 4 – You finish the session and look forward to the next. 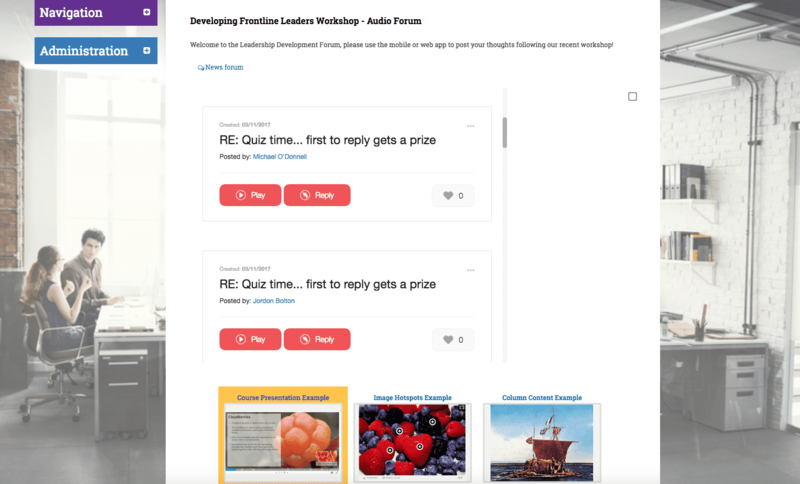 After the session, you are too busy to log back into the LMS to access the forum and post questions, you need something that’s quick and engaging. This is where a VoiceFirst approach works. Instead of been a victim of the dreaded forgetting curve, you use audio bites to engage with the cohort who attended the training, you have push notifications to your smart phone, you engage with peers and access learning faster than ever in your professional development community. What’s more – the audio bites are tracked giving you a score in terms of your engagement and contribution.. the gamification element. 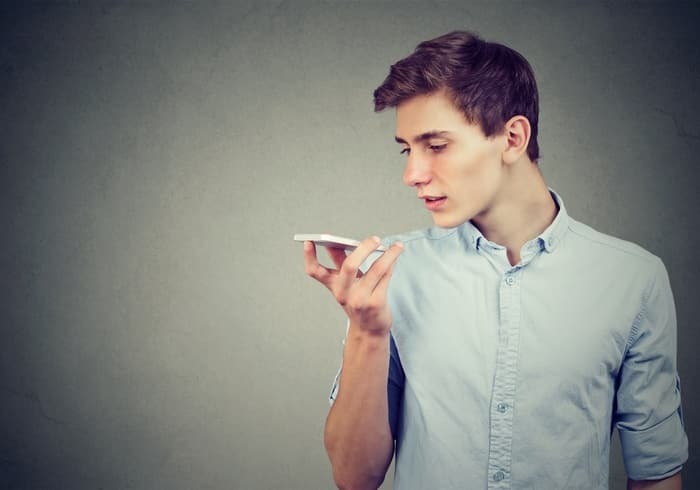 Audio learning bites can also be accessed via the mobile app and web app if needed, meaning learning is always available to the learner. Within your professional development community, learners can also search for those who are skilled in a particular area, connect with them and even follow them to enhance their knowledge. Below is a example of what the audio profile looks like for the learner including their personal audio inbox, network and other analytics. Why should you consider VoiceFirst technology for Learning and Development? It’s cost effective – producing audio bites and curating these from subject matter experts is quick and doesn’t cost much. All you need is small amounts of time from your employees. Micro Learning is what people want – Our workforce is too busy to access long courses online, we know that through the effects digital is having on our organisation. Smart audio devices are coming to the workplace – your company will soon have a Alexa Apple or Google device in the workplace. Why not get ahead of the curve? Audio is engaging – Keeping your workforce engaged and on topic is critical to your organisation’s performance, using audio, you can achieve this at scale. Speed – creating audio bites is quick and simple, in this way your workforce can have access to information and learning at the point of need. If you’re interested to learn more about use of VoiceFirst technology in learning you can contact us here.